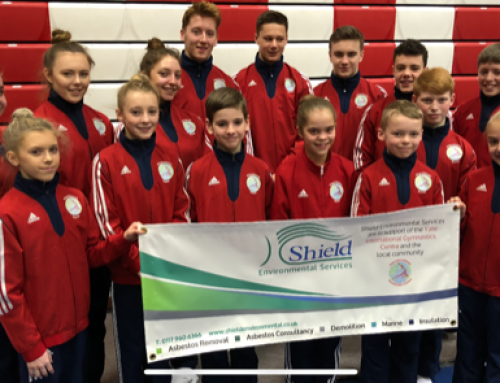 OVERCOME members of King Edmund Gym Club’s elite team have spoken of their joy at their various triumphs in the World Acrogymnastic Championships in China. 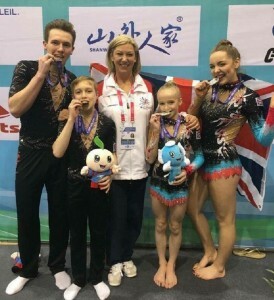 The South Gloucestershire club provided no fewer than eight of their star athletes to the Great Britain team for the prestigious Putian tournament and returned home with silver and bronze medals thanks to the exploits of Millie Battensby and Dove Strachan-Wills in the 13-19 women’s pair event, and Marcus Flint and Harry Hole in the same age section of the men’s tournament. 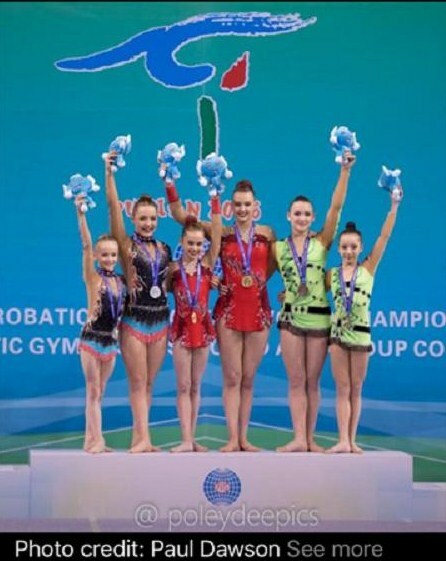 Both pairs came through tough qualifying stages to reach their respective finals and Strachan-Wills said of her silver success in tandem with 12-year-old Battensby: “I was in complete shock; we weren’t even expecting to get to the final in all honesty. As a club we’d competed abroad a few times but we’d never represented Great Britain before or been to anything like this. 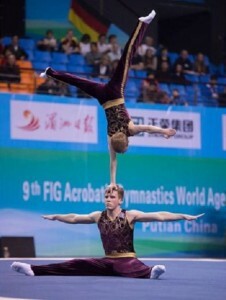 “Our first qualifying routine was a bit wobbly but our second we did well and managed to see off the challenge of the other British pairing to reach the final. 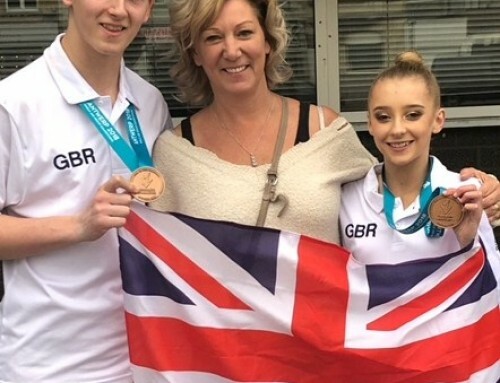 “We’re thrilled because Millie and I trained really hard for this – 25 hours a week – and had to come out of school pretty much every day, so all the hard work has really paid off. 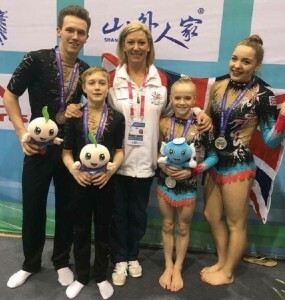 The success was all the more poignant as Strachan-Wills is the niece of King Eddies head coach, and participating Great Britain coach in China, Nikki Thorne, while the 15-year-old gymnast’s grandparents, Tony and Jan Wills, founded the acro-gym club in Yate more than 30 years ago. 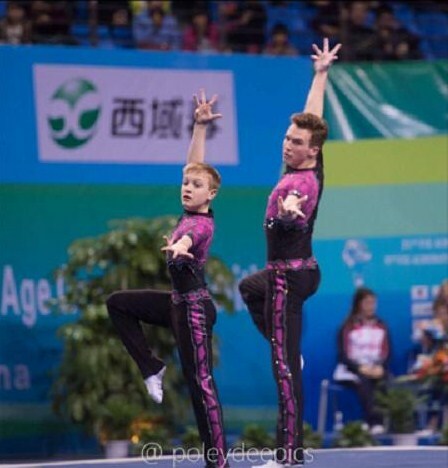 As for 17-year-old Flint and 12-year-old Hole, they gained a place in their final the hard way after finishing last among six qualifying partnerships. Flint smiled: “Our first routines weren’t the best but we went into the final feeling we had nothing to lose, so we gave it all we had and pulled it out of the bag to win a bronze medal, which was fantastic. Four more of King Edmund’s gymnasts produced creditable showings. Kirsten Owen, 11, and Finn Cochrane, 14, came third in the qualifying stages of the 11-16 mixed pair competition but were edged out of a finals spot by their Great Britain counterparts under the rule that only one team from any given nation is allowed to go through. There was disappointment for King Eddies’ Great Britain stars in the senior event as 21-year-old Chris Child suffered a recurrence of an old shoulder injury while competing with his partner of three years, 17-year-old Rob Bates, in their second routine at the championships following a promising first outing. 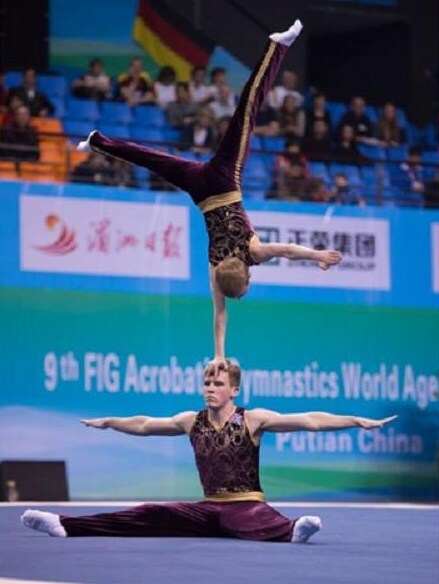 The duo were delighted silver medallists in the 2015 World Cup in Switzerland and British champions in the same year. 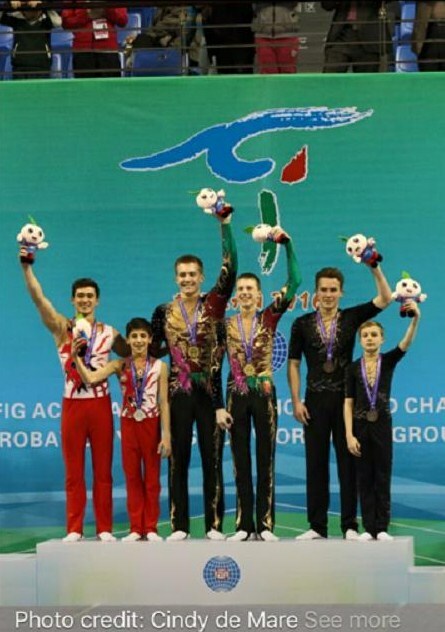 Child also enjoyed a World Championship gold medal-winning coup with former partner Jake Underdown in 2010 and a European Championships victory the following year. Child, a King Eddies gymnast since 2006, and Bates are to retire from competition now and both admitted it was a sad way to bow out. 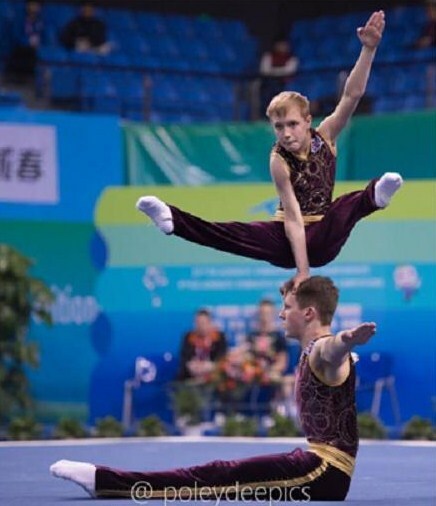 “Our first routine went reasonably well but I injured the shoulder in one of my moves in the second routine and as I tried to catch Rob, we both fell over,” Child explained. 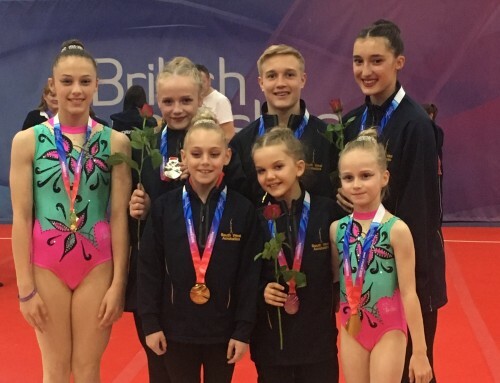 King Edmund manager Mark Thorne glowed: “Our gymnasts were magnificent but we have to say a big thank-you too to the coaches who put so much time and effort into getting them up to the level that they perform so brilliantly at, and the support they receive from their parents and mentors. 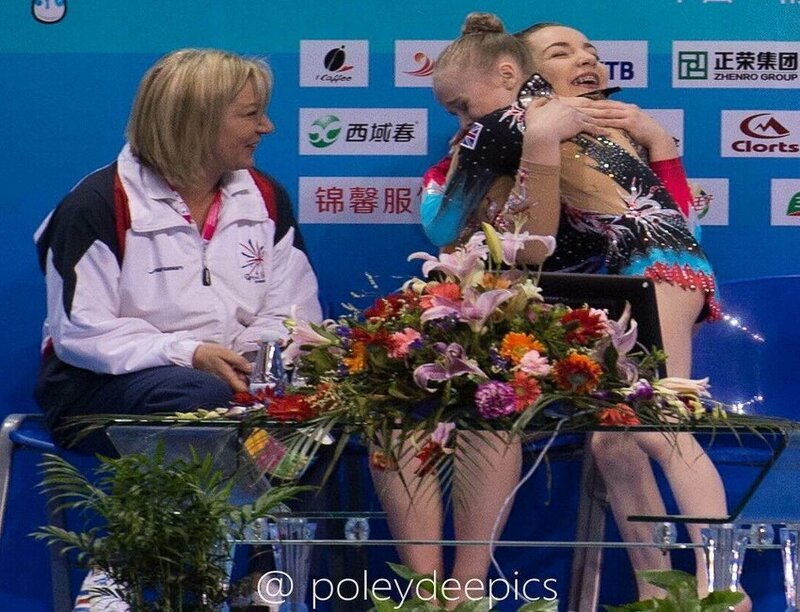 “It was lovely that Dove continued the big King Eddies family tradition with her silver success, and great for us all that we have continued the long club tradition of winning medals at world events like this one in China.